Where experience brings a quality to life and understanding allows a change to begin, change that creates positive outcomes and brings you back to your natural self. Caroline Byrd through Holistic Counseling creates a space in which you can access your personal truth, identify with your authentic self and discover self awareness and joy. Using different Holistic therapies you will be guided through your own individual experience, gaining a more profound understanding of your Mind, Body and Spirit. Holistic Counseling will look at your belief systems which hold you back in your business, personal and inter-personal life. As your mind begins the process of dropping beliefs you increase your own self worth, and the love and appreciation of self and others. Re-aligning the mind, body and spirit allows the natural state of well being to move through you and into your world. Rediscover your true nature, personal power and innocence. Begin to feel the freedom you uncover as your false personalities and masks fall away. Free yourself to touch the core of your whole being. Watch yourself grow and blossom into your own power. Live a natural life without the limitations of the mind. As you re-align your beliefs, you discover what it is you truly want, need and desire in your life. You find your passion for life, work and family; you begin to create your reality with a new perspective on how your life looks through a healed mind, body & spirit. Techniques are used to release personal and physical limitations. Caroline's training reaches beyond the mind to bring about a change. This change occurs at the core of the issue, and allows a new level of awareness to re-pattern itself within the client’s personal life and physical body. When core issues are healed each individual’s unique path opens up before them. This path encourages self-empowerment by releasing dependence on past conditioning. Holistic Counseling is a very gentle yet effective way of treating Anxiety, Depression, stress and panic disorders. Within a short time the client begins to experience relief from the symptoms of these disorders. To experience this relief the client is shown simple yet transformative exercises that teach you how to relax, stay in the present moment and release stress. Working closely with individuals, clients, colleagues, friends and also family members, a deep need for guidance appears to me as people share their own experiences and fears about spirit and their connection or dis-connection to the deeper spiritual truths. Many ask how, why, who am I….the search for connection to something greater than the mind and body, creating the person to question their beliefs, their feelings and the process called life and death. Throughout my work as a Therapist I have unraveled many truths and limitations that have blocked the person from uniting and trusting in the source of life, the energy of creation. This dis-connection appears in life as the feeling of not belonging, unsupported, alone, fearful, angry, abandoned, longing, distant, detached, withdrawn, lost, resentful, scared, unsettled, weary, and the list goes on. It is only when you stop and look deeper into the cause of the dis-harmony in your life that you begin to understand that this life is so much more than the whys and the hows, and the sensations that you have been searching for. Everything you are experiencing is the effect of a cause, the effect is often calmed, cleared and appears to disappear, until you notice the feeling arising again, yet it is with a different person, a different job, or even a different country you have moved to. This feeling is yours, you walk the earth with it and the issues outside of you trigger this emotion. Why does this keep happening to me? ; Because you take yourself with you wherever you go. As a Spiritual Mentor I will help you to discover your unique strand of emotional energy that your Soul has aligned with in this embodiment. This strand is the key to your happiness and fulfillment while in the body. Once you become aware of your individual strand you begin the deeper healing process. The outcomes of healing the cause, the emotional strand, can vary, but mostly the connection to your Souls purpose is discovered, understood and aligned through the physical body, to create strength of purpose, positive outcomes in your life, the sense of belonging to something greater than the mind can comprehend, peace of mind, clarity in direction, a sense of empowerment and an all over awareness of a healthy mind, body and spirit. When your strand emotion is acknowledged, and you begin the healing process the gift that the Soul has embodied with, becomes more apparent. This gift usually appears through one of our 6 senses, as you work with energy, and become aware of the body as a magnificent system you can take a step back from the internal organizing and controlling of the body. This allows free attention of energy to move subtly out and into the atmosphere of the energy pool called life. This is when you sense different intuitive feelings and information coming to you and you realize that all you have to do and be is to let go and let life move into and with you. “My husband’s 42 year old sister, Lucy was fighting her fourth battle with cancer when I asked Caroline if she would be able to offer therapy for Lucy and our family during an extremely stressful time. Caroline’s informal discussions combined with meditation and Reiki sessions gave not only Lucy, but other family members, insight into our individual journeys and the many challenges we all face. " "I have known Caroline for 2 years since meeting her during Holistic Counseling studies with the Awakening Group. I began seeing Caroline for counseling/ psychic mentorship around a year ago and I can honestly say that every session has brought me deeper and deeper to my true core of self-acceptance and joy. " "Caroline is a professional and Intuitive Therapist who brings a lifetime of experience and compassion to her practice. Her ability to switch between Therapy and channeling is a rare gift and has been particularly helpful for me as I expand my studies in the metaphysical area. 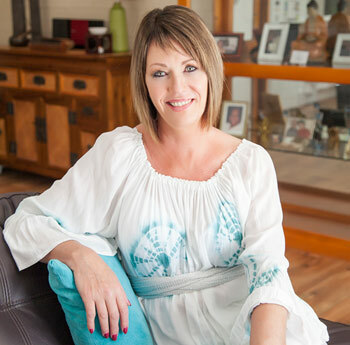 I highly recommend Caroline to you as an Intuitive Therapist and healer. "